Like you Nigel I am spoilt for choice. I too flew the Chilli Wind & Breeze and they were particularly satisfying having built them from scratch. But the one that wins it for me was the old Flair Giles 202 (see link). She was the first real aerobatic plane I could safely say taught me to be comfortable with standard aerobatics. Great flyer and no real vices. I think if memory serves I flew it with an OS 60FX or OS 90FX. Memory a bit hazy due to being all those years ago! Like most who have already posted I really found this difficult to answer. Having to chose from numerous 1/7th to 1/4 scale WW1 and WW2 scouts, fighters and bombers, to many sports models (although never owned a Wot 4) and even a couple of gliders I think my favourite model to fly in any weather, aerobatically or just circuits has to be a scaled up Peter Miller Tequila Sunrise. Flies beautifully and will pretty much do anything you ask of it - except make a brew. Looks great Rob. Details needed - size, power source? After seeing pictures of the Tequila Sunrise in Peter's book 'Designing Model Aircraft' I always quite fancied it and your example only serves to encourage my interest. If I had to pick one it would have to be my Aerowatt, designed and built by my great flying pal and e-flight mentor Peter Wilson, who sadly passed away earlier this year. Peter really knew how to build a lovely straight, light, strong model and the Aerowatt had superb performance on 20 nicads and a Mega brushed motor years before lipos were ever thought of. Nowadays she's even lighter, on 5s1p 5000mah lipos, with a Twister 60 brushless motor and I don;t know what I'd do without the Aerowatt in the fleet - truly irreplaceable. You probably know Geoff but Peter had his scaled up version of Tequila Sunrise published in RCM&E as Miss Lizzy. 51in span and 32 2 stroke, but maybe you wanted to go bigger than that? I didn't, Piers, so thanks for that. If I build one it will be electric and tha's a reasonable scale for that. Plan No. MAG1543 from Sarik Hobbies. Vortex Vacforms (or Sarik maybe?) do an ABS cowl for it too. This particular one is 150% of original which gives a wingspan of 52" and powered by an OS32 SX covered in solartex and painted. I have also CNC machined two 200% size kits at 68" span for 2 club mates and my own 200% size is still on my 'to do' list. I test flew one of the 200% models for my club mate and can happily report it flew perfectly just like my smaller size! I was comfortable doing inverted low passes on the maiden flight - showing how well this plane flies and the confidence it gives. If you do decide to build one you wont regret it. Thank you John Stones 1 for your comments. I'm quite surprised to see the old Flair Giles in there. I had mine back in 2000/2001, and although it flew ok - I used an MVVS .91 - I felt it was a grossly overweight model. The wings in particular seemed much heavier than they ought to have been, probably as the result of zero wood selection during the build (my example had one wing panel 3 ounces heaver than the other). It would have been a much better flyer if it had been 2 pounds lighter........but it was robust enough to take knocks, unlike some of today's lazer cut egg boxes. Looks like it would go nicely at 150% on a 300W - 400W size electric powertrain. Well, Percy, it is about horses for courses. If I may say you might be missing the point here. The issue is what was our/my favourite model of all time. Of course with hindsight we can criticise wood selection in those days or anything else in the build for that matter. Technology has moved on obviously. It was its robust nature, however, that helped me elevate my below average flying skills into something a bit better. Having checked my records it flew very well on the OS 90FX that was installed. In other words it got me to where I wanted to be. Hence my liking for it. I have had some much lighter models since of course, but I was able to avoid damage to them because of my early experience of the Giles. Being a better pilot enables me to fly your so called "laser cut egg boxes" without any grief happening. The Miss Lizzy was one of my favourites at the time, though mine was electric powered and re-named Liz E. a great looking plane. 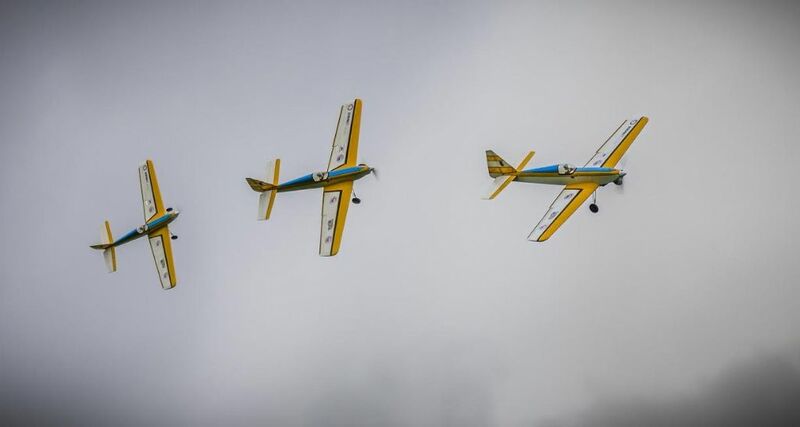 Another favorite as a simple aerobat was the Little Sue, but favorites change with time. Nice model you have there sir - I understand that Miss LIzzy is an 'eyeballed' scale up of the Tequila Sunrise with some enhancements to the fus, I think a NACA 2412 instead of symmetrical aerofoil and reduction of the strip ailerons. I'm sure a 4S leccy setup will motivate the 150% Tequila or Miss Lizzy most comfortably.. As I said they have excellent characteristics and I love flying mine. Geoff, I even used my TS as a camera ship about 10 years ago. Has to be my very first R/C model a Tyre Major trainer that i learned to fly on. Wish I still had it, it would be about 44 years old now. DB (David Boddington) designed models are certainly among my favourites. I reckon I've built at least a dozen or so over the past 45+ years. My header pic is one of them, a DB Moth 40, built in 1990. Hi Andrew - just got your PM. Long (very long) time, no see! 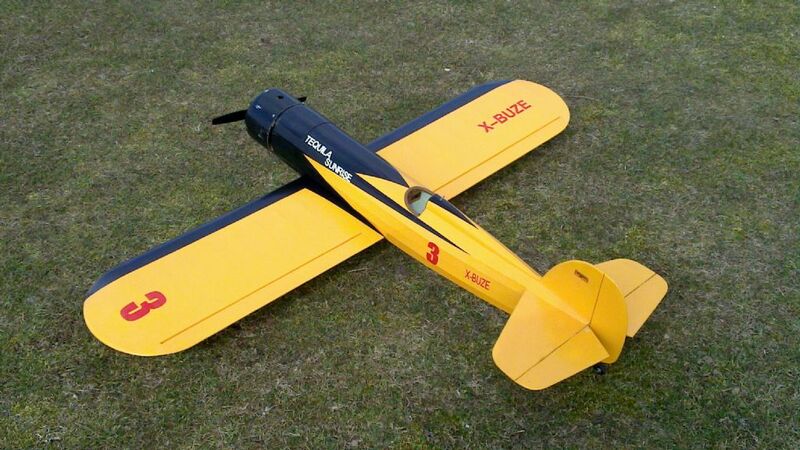 My first R/C model was a Tyro Major as well. Blue fuz, orange wing, if I remember correctly - or maybe the other way round? It was a long time ago, 1974 or thereabouts.... Covered in nylon, and almost indestructible. I passed it on to somebody else after I moved on to the next model - maybe it was you? Mine would be the WM Mustang I had some years ago: it disappeared into a copse ( or rather forest ) one summer holiday in Bosbury. The cottage had it's own full size strip and the owner ( Bunty Moffat) was more than happy for me to fly from it. 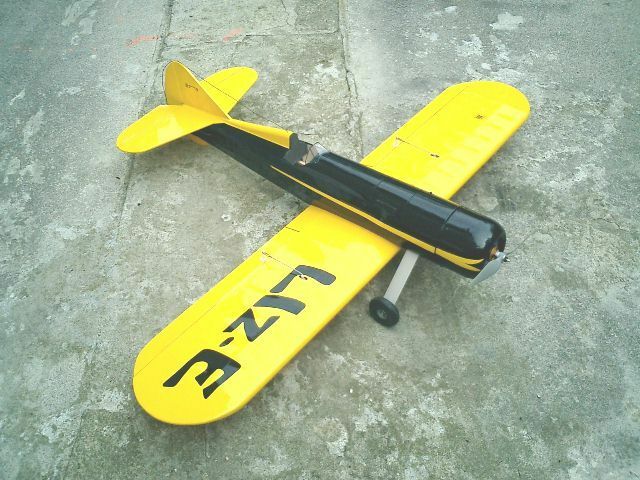 The model was a gift from my then partner and was the first I had ever owned with retracts and a four stroke ( An OS 70FS ) and flew beautifully. Even a non modelling friend with no interest in aviation said that watching it fly was a delight. From the past - the original Gangster 63, with a smokey old Meteor 60 on the front, a sweet handling first low winger, finally died of fuel ingress. Currently - the Wot4, equally pleasant whether with an Irvine 46 or 900+ watts of LiPo power, and in equal first place the ugliest plane I've ever owned - a Bogey, a sort of aileron:elevator LiPo powered combat job made of Correx, fast as you like, huge loops, rolls faster than you can count yet it lands at walking pace and (tempting fate here) pretty near unbreakable.